The Armenian cabinet of ministers has had an extraordinary meeting under chairmanship of First Deputy Prime Minister Karen Karapetyan, the press office of the government informs. 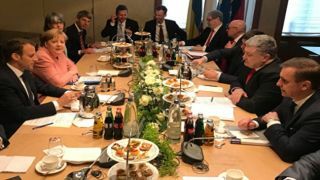 In accordance with the law on the structure and activities of the government, the meeting stated that the prime minister cannot fulfill his duties, as Serzh Sargsyan sent in his resignation earlier today. 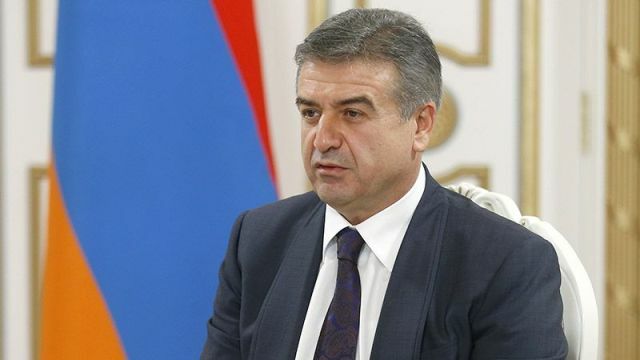 Under the law, Karen Karapetyan as the first deputy prime minister is to be acting prime minister until a new person is elected to the post. As EADaily reported earlier, Serzh Sargsyan decided to step down under a pressure of mass protest actions in Yerevan. The demonstrators were against election of Sargsyan to the prime minister’s post. In accordance with the constitution, the following procedure is to be implemented: in case of prime minister’s resignation and after the government accepts it, parliamentary factions can nominate their candidates within seven days. The National Assembly elects prime minister by a majority. Ministers continue fulfilling their duties until a new cabinet is appointed. Yerevan has been ridden by mass protest actions since April 13. The protesters were against former president Serzh Sargsyan becoming prime minister. At a rally on April 17, the leader of the protest movement Nikol Pashinyan declared start of a “Velvet Revolution” in the republic. On the same day, the Armenian parliament voted for appointing Serzh Sargsyan to the prime minister’s post: 77 MPs voted for it, 17 MPs were against. After a constitutional reform was approved by a referendum in 2015, Armenia switched from the presidential to parliamentary republic. Prime Minister Serzh Sargsyan was supposed to have all power levers concentrated in his hands. Armen Sargsyan elected as president on April 2 was to have only representative functions.